DJ Javas started to play back in 1996, when he helped to create the atmosphere of the early house music scene in home-town Brno (CZ). Perform together with his brother DJ Koala and DJ Vik. Then he became well-known among clubbers in the whole Czech Republic. In 1998, he met Iva Bittová, a famous world-music and ethno-music diva, and they started a fruitful partnership. Soon their liveacts, based on flexible house rhythms and Ivas magic voice, singing, mumbling, whispering reveal together unique layers of beauty within this special collaboration. Not to forget Hanka Sax, a saxophonist, that has as well played together with Javas on various events and parties and brought another flow of energy, making the dancefloor go wild. With the first decade of 21st century, PE!Music was a Wien-based project (led by Oscarsix and Natasza) dedicated to interconnecting artists and activities on the electronic music scene in Central Europe (label, parties, production, Djs). Javas was supporting PE!Music crew includes Asad Rizvi, Murray Richardson, DJ Freestyle, Tom Gillieron, Vernon & DaCosta, JR From Dallas, Edmund, Martin Haberland and many other big personalities. As a resident DJ in many clubs, Javas has a stable position among Top Czech DJs, and his parties created a solid base of fans, usually experienced clubbers. 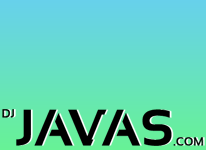 DJ Javas plays deep or tech-house, nu-disco, electro and even drum´n´bass sometimes. He has played in many popular clubs (Roxy, Radost FX, Cross, Mecca, U Bukanyra, Fleda, Perpetuum and more) or festivals (Creamfields, Machac, Hradhouse, Planet Love, Pohoda and more) in Czech and Slovak republic, and he has also appeared behind the decks in other countries, United Kingdom, France, Italy, Austria, Poland or Hungary. You might have the chance to hear the tracks of Javas on the dancefloor where they belong. Javas release his tracks at Deepwave Records, The Tea Bay, Solstice, Nightphunk Recordings, Harlem Station, Decibel NYC, PE!Music, 3am Recordings, Seta Label or Tropical Underground. There is a brand new co-operation with Brazilian DJ Marcelo K2. Javas sets and tracks are a permanent challenge to move forward and find out new directions in music.